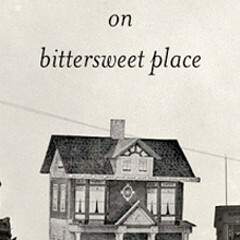 Most of what I know about close, lifelong female friendships—the all-consuming kind, that start in the sandbox, continue through confidences about first periods and first gropings with boys, and survive marriage and children (though of course the friends are maids of honor and aunties to each other's children)—comes from books. Anne Shirley and Diana Barry, Betsy and Tacy, other characters from way more mediocre novels whose names I can't remember now, but who also share a deep and abiding, though strictly platonic, love. Reading about these friendships made me feel lonely, especially when I was younger, like I was missing something essential in life, even more essential than marriage. Men come and go, sometimes die. But friendship is forever! Recently, though, I've read two books that reconsider and challenge the saccharine notion of eternal female friendship, and for them, I am grateful. 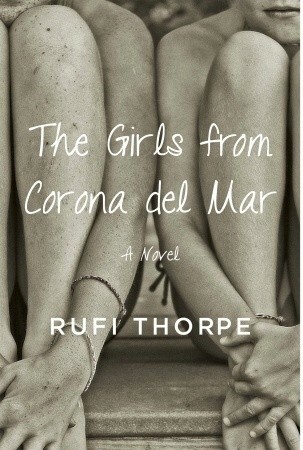 One, The Girls from Corona Del Mar by Rufi Thorpe, just came out this summer. 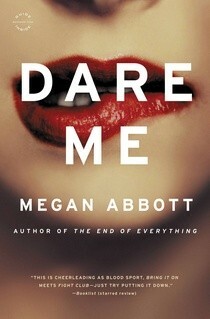 The other, Dare Me, by Megan Abbott, is a couple years old; I was drawn to it after reading her latest, The Fever. This is not a new story, but Thorpe, in her first novel, makes it feel new, more sharp and jagged than women's friendships usually are in books. Mia is not a "likable" character (are we still talking about that, by the way, or is it now OK to enjoy reading about people we don't necessarily want to hug—and, by the way, Mia probably wouldn't welcome a hug from you anyway) and neither, it turns out, is Lorrie Ann, who wants to be more than a beacon of goodness and purity and bad luck. Thorpe hits on an essential truth about all those books about beautiful lifelong female friendships: they're really only the story of one girl. We never learn what the best friend—Diana or Tacy—is thinking, or even how they feel about being an accessory or left behind because they're so much less interesting. Thorpe never really lets us in on the full truth about Lorrie Ann, either, but that's the tantalizing part: just that there's something there, and it's not necessarily good. Dare Me is not really a novel about friendship. At its deep, twisted, black heart, it's a work of noir, set in a high school gym. Instead of gangsters fighting over territory and drug money, it concerns cheerleaders who plot to be Top Girl, the one who waves from the top of the pyramid and then gets tossed 20 feet into the air. That is its brilliance. Addy and Beth have been friends since elementary school. Now Beth is the captain of the cheerleading squad and Addy is her loyal lieutenant. "There's something dangerous about the boredom of teenage girls," their new coach muses, and Beth is very, very bored. But Coach challenges both Beth's supremacy and Addy's loyalty and since Beth is both a psychopath and brilliant at scheming at least three moves ahead of everyone else, it's clear that things will not end well. Dare Me does not qualify as realistic fiction. I've never known a teenage girl to say things like, "If you aim at the king, you'd best not miss" (well, at least not as a quote) or to initiate and manage a complete reign of terror as complete as Beth's. But I suppose that's missing the point. Once I succumbed to the notion that these are thugs in the bodies of 90-pound girls, it all made perfect sense. And, in the end, Beth, in her way, is as loyal a friend as any from the most sickeningly sentimental girls' books. The immigrant teen at the center of Rona Wineberg's debut novel has a rather predictable coming of age in a fairly generic city.